Exhaust systems and service are our main things…and we’re really good at them! We have earned a great reputation with the area antique, restoration, and classic car community. We are hot rod and custom car friendly. 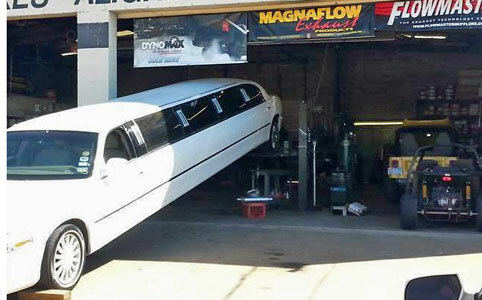 We carry Flowmaster, Dynomax, Magnaflow, Borla, and FloPro components.